Since 1872 the United States National Park System has grown from a single, public reservation called Yellowstone National Park to include 418 natural, historical, recreational, and cultural areas throughout the United States, its territories, and island possessions. These areas include National Parks, National Monuments, National Memorials, National Military Parks, National Historic Sites, National Parkways, National Recreation Areas, National Seashores, National Scenic Riverways, and National Scenic Trails. Catlin's vision had no immediate effect. In the east, romantic portrayals of nature by James Fenimore Cooper and Henry David Thoreau and painters Thomas Cole and Frederick Edwin Church began to compete with prevailing view of wilderness as a challenge to overcome. Slowly unspoiled nature and spectacular natural areas of the West became better known, the idea of saving such places became of interest. In California, several state leaders sought to protect Yosemite Valley. In 1864, Sen. John Conness of California sponsored an act to transfer the valley and nearby Mariposa Big Tree Grove to the state so they might "be used and preserved for the benefit of mankind". President Abraham Lincoln signed this act of Congress on June 30, 1864. California was granted the valley and the grove on condition that They would "be held for public use, resort, and recreation...inalienable for all time." The Yellowstone country was first "officially" explored by David E. Folsom, Henry D. Washburn, and Ferdinand Hayden in 1869-71. A myth evolved that near the end of the Washburn expedition, discussion around the campfire led several of the members to suggest that the area be set aside for public use and not allow it to be sold to private individuals. This myth was successfully exploited by National Park advocates but eventually was debunked by historians. An early ally in promoting a public reservation was the Northern Pacific Railroad Company. They were seeking major destinations for their route through Montana. In an effort to reduce poaching and other misuse of the park, the U.S. Army established a fort in the area in 1881 and began park protection, establishing a pattern that would be continued by later park rangers. President Theodore Roosevelt signed the Antiquities Act on June 8, 1906. As early as 1889 Congress authorized the President to reserve the land on which the well known Casa Grande Ruin was located. In 1904, Dr. Edgar Lee Hewett made a review of all the Indian ruins on Federal lands in Arizona, New Mexico, Colorado, and Utah. He recommended many sites for protection. Based on Hewett's report and many individual request and reports from throughout the west, between 1906 and 1916 the Interior Department recommended and Presidents Roosevelt, William Howard Taft, and Woodrow Wilson proclaimed twenty National Monuments. On September 24, 1906, President Theodore Roosevelt proclaimed Devils Tower as the first National Monument. Devils Tower is a Wyoming landmark, a 600-foot (180 m) high tower of rock, visible for nearly 100 miles (160 km). It has been a guidepost and a religious site. In December of that year, three more National Monuments were created. El Morro, New Mexico, is a wayside in the rugged desert lands used by Indians settlers and travelers for centuries as a watering hole and a place to leave their marks. The site includes prehistoric petroglyphs and hundreds of inscriptions from 17th century Spanish explorers and 19th century American emigrants and settlers. Montezuma Castle, Arizona, is one of the best preserved cliff dwellings. Petrified Forest, Arizona, is world-renowned for its petrified wood, Indian ruins and petroglyphs. Three of these original National Monuments later became the core of National Parks. Mukuntuweap became Zion, Sieur de Monts grew into Acadia, and Petrified Forest which was expanded by Congress to become a National Park of the same name. Three of the smaller areas were later abolished, those being Lewis and Clark Caverns, Shoshone Cavern, and Papago Saguaro. Forty-four years after the establishment of Yellowstone, President Woodrow Wilson created the National Park Service on August 25, 1916. For years J. Horace McFarland, President of the American Civic Association; Secretaries of the Interior Walter Fisher and Franklin K. Lane; Presidents William Howard Taft and Woodrow Wilson; Frederick Law Olmsted Jr..; Representatives William Kent and John E. Raker of California; Senator Reed Smoot of Utah; Stephen T. Mather and Horace M. Albright had been seeking the creation of separate agency to manage the National Parks and Monuments. President George Washington engaged Major Pierre Charles L'Enfant to design the new capital city. The L'Enfant Plan proposed a city of beauty. The plan was designed around a series of boulevards, parks and The Mall. Additionally, L'Enfant envisaged a Congress Garden and a President's Park; embellished with statues, columns, or obelisks; grand fountains; an equestrian statue of Washington; a Naval Column; and a zero milestone. Rock Creek Park was authorized on September 27, 1890, two days after Sequoia and three days before Yosemite. Congress carried over some of the language of the Yellowstone Act into all three acts. Like Yellowstone, Rock Creek Park was "dedicated and set apart as a public park or pleasure ground for the benefit and enjoyment of the people of the United States," where all timber, animals, and curiosities were to be retained "in their natural condition, as nearly as possible." Though not a 'National Park', Rock Creek Park is a major urban park of the nation. When the centennial of Washington's birth came in 1832 with no satisfactory monument to in the National Capital, George Watterston, Librarian of Congress, and other civic leaders organized the Washington Monument Society, to erect an appropriate monument from private subscriptions. In 1848 Congress transferred a site on the Mall to the Society, and the cornerstone of the Washington Monument was laid on July 4. Slow progress was made worse by the Civil War. When the nation's first centennial came around in 1876 the Washington Monument was only a third completed. The United States Congress passed legislation authorizing the transfer of the Monument and site to the United States for completion and maintenance as a National Memorial. The Washington Monument was dedicated on February 21, 1885. The National Military Park line, including early battlefield monuments, began in 1781. Between 1890 and 1933 the War Department developed it into a National Military Park System. In 1933, there were twenty areas, 11 National Military Parks and 9 National Battlefield Sites. The line started on October 29, 1781, when the Continental Congress authorized the first official on-site battlefield monument. It resolved: "That the United States in Congress assembled, will cause to be erected at York, in Virginia, a marble column, adorned with emblems of the alliance between the United States and His Most Christian Majesty; and inscribed with a succinct narrative of the surrender...." In 1823 in Boston; Daniel Webster, Edward Everett, and other prominent citizens formed the Bunker Hill Battle Monument Association to save part of the historic field and erect on it a great commemorative monument. The cornerstone was laid on June 17, 1825. During the Revolutionary Centennial years, 1876–83, Congress appropriated federal funds to match local funds for Revolutionary battle monuments, and through this means imposing monuments were erected at Bennington Battlefield, Vermont; Saratoga, Newburgh, and Oriskany, New York; Cowpens, South Carolina; Monmouth, New Jersey; and Groton, Connecticut. Of these, Cowpens is now a unit in the National Park System, and Bunker Hill, Bennington, Oriskany, and Monmouth are National Historic Landmarks. April 30, 1864, in the midst of the Civil War, Pennsylvania chartered the Gettysburg Battlefield Memorial Association to commemorate "the great deeds of valor... and the signal events which render these battlegrounds illustrious." This association was among the earliest historic preservation organizations in the country. By 1890 it had acquired several hundred acres of land on the battlefield including areas in the vicinity of Spangler's Spring, the Wheatfield, Little Round Top, and the Peach Orchard as well as the small white frame house General Meade had used as headquarters. With interest and support from both North and South Congress decided to go beyond the former battlefield monument concept to authorize the first four National Military Parks — Chickamauga & Chattanooga in 1890, Shiloh in 1894, Gettysburg in 1895, and Vicksburg in 1899. These areas were not selected at random but constituted, almost from the beginning, a rational system, designed to preserve major battlefields for historical and professional study and as lasting memorials to the great armies of both sides. The National Military Park System was approaching maturity under the War Department in 1933 when all these battlefields were transferred to the National Park Service to become a significant and unique element in the National Park System. All of the exhibits are permanent, and will always be shown in the museum. The authority to proclaim National Monuments on National Forest lands is still valid, only two others have been created between the Reorganization of 1933 and 1974. Both were placed under the jurisdiction of the National Park Service, Cedar Breaks, Utah (August 22, 1933), and Jackson Hole, Wyoming (March 13, 1943). Between the Reorganization of 1933 and the Reorganization of 1964, 102 areas were added to the System as defined today, increasing the total number from 137 to 239 The distribution of the new areas among categories is significant. Of the new additions, 11 were "Natural Areas", increasing their number from 58 to 69 or 19%. Seventy-five were "Historical Areas", increasing their number from 77 to 152 or 96%. Fifteen were "Recreation Areas", increasing their number from one to 16, or 1500%. It is clear that during this period the growth rate for Natural Areas noticeably diminished from previous levels and by comparison with the rate for other categories, even though very important additions of natural lands were still being made. On the other hand, the growth rates for Historical and Recreation Areas accelerated sharply. It took the Service a generation, from 1933 to 1964, to assimilate these 102 diverse new areas and the 71 areas added by the Reorganization of 1933 and incorporate them securely into one National Park System. Jackson Hole, had been talked of as a possible addition to Yellowstone as early as 1892, and from 1916 onward the Service and Department of the Interior actively sought its preservation in the National Park System. It was John D. Rockefeller Jr., however, who rescued Jackson Hole. In 1926 he visited the area and discovered the cheap commercial development, on private lands, in the midst of superlative natural beauty. There were dance halls, hot dog stands, filling stations, rodeo grand stands, and billboards, blocking the view of the Teton Range. President Roosevelt's proclamation unleashed a storm of criticism which had been brewing for years among western members of Congress. Rep. Frank A. Barrett of Wyoming and others introduced bills to abolish the monument and to repeal Section 2 of the Antiquities Act containing the President's authority to proclaim National Monuments. A bill to abolish the monument passed Congress in 1944 but was vetoed by President Roosevelt. The President noted in his veto that Presidents of both political parties, beginning with Theodore Roosevelt, had established ample precedents by proclaiming 82 National Monuments, seven of which were larger than Jackson Hole. The proclamation was nevertheless also contested in court, where it was strongly defended by the Departments of Justice and Interior and upheld. A compromise was worked out and embodied in legislation approved by President Harry S Truman on September 14, 1950. 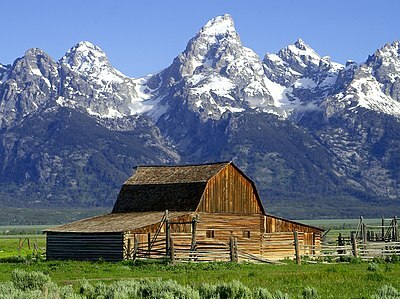 It combined Jackson Hole National Monument and the old Grand Teton National Park in a "new Grand Teton National Park" containing some 298,000 acres (1,210 km2), with special provisions regarding taxes and hunting. It also prohibited establishing or enlarging National Parks or Monuments in Wyoming in the future except by express authorization of Congress. Much of this would not have happened without the Historic Sites Act of 1935, a logical follow-up to the Reorganization of 1933. 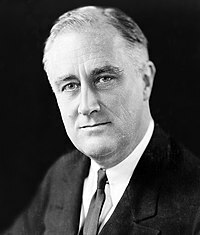 On November 10, 1933, President Franklin D. Roosevelt invited his friend and neighbor, Major Gist Blair, to give consideration "to some kind of plan which would coordinate the broad relationship of the Federal Government to State and local interest in the maintenance of historic sources and places throughout the country. Some of the most important historical additions to the system between 1933 and 1964 are almost lost to sight in this long thematic list. Gateway Arch National Park, at first known as the Jefferson National Expansion Memorial, was the first National Historic Site established under authority of the Historic Sites Act. More importantly, its 37 square blocks embraced a key urban area on the historic St. Louis waterfront — the first major effort of the NPS, after National Capital Parks, to conserve and develop a large and important urban historic site. Some architectural monuments, including the Old St. Louis Post Office and the Cathedral, have been carefully preserved, but the main feature of the area is the only major national memorial of modern design in the United States, and one of a small number in the world — Eero Saarinen's stainless steel Arch. In 1948 Congress authorized another major urban project, the Independence National Historical Park in Philadelphia, the most important historical area in the United States, embracing Independence Hall and Square, Congress Hall, Carpenters Hall, and many other sites and buildings associated with independence and the establishment of a government under the Constitution. The method of analyzing complex urban problems was used in Boston, where it led to authorization of Minute Man National Historical Park in 1959 and other sites, including the Bunker Hill Monument, Faneuil Hall, and the Old Boston State House. A commission was established for New York City, where a complex of urban monuments were added, including Federal Hall National Memorial, Castle Clinton, Grant Memorial, Hamilton Grange, Theodore Roosevelt's Birthplace, and Sagamore Hill, to the previously authorized Statue of Liberty National Monument, whose boundaries were extended to include Ellis Island. The Historic American Buildings Survey was organized in 1933 upon the initiative of Charles E. Peterson of the National Park Service in cooperation with officials of the Library of Congress and the American Institute of Architects. Since 1933 the HABS has gathered more than 30,000 measured drawings, 40,000 photographs, and 13,000 pages of documentation for more than 13,000 of the Nation's historic buildings.
. The National Survey of Historic Sites and Buildings was organized after passage of the Historic Sites Act in 1935. Beginning in 1960, the responsibilities of this Survey staff were extended to include recommendation of an important series of National Historic Landmarks, officially designated by the Secretary of the Interior. On October 9, 1960 Secretary of the Interior Fred A. Seaton announced the first official list of 92 historic sites and buildings eligible for designation as National Historic Landmarks. The Service responded to the emerging social and economic forces of the New Deal era, by expanding its cooperative relationships with the States, securing enactment of the comprehensive Park, Parkway and Recreation Area Study Act of 1936, and initiating four new types of Federal park areas — National Parkways, National Recreation Areas, National Seashores and Recreational Demonstration Areas. By the end of this period, fifteen of the over 50 such areas remained under the administration of the National Park Service. Because they had much in common, they were collectively designated Recreation Areas in the Reorganization of 1964. The origin of Recreation Areas as a category in the National Park System stemmed in important part from widened responsibilities assigned to the Service beginning in the 1930s. A central feature of these new responsibilities was administration of hundreds of Civilian Conservation Corps (CCC) camps located in State Parks. The National Park Service had actively encouraged the state park movement ever since Stephen Tyng Mather helped organize the National Conference on State Parks at Des Moines, Iowa, in 1921. It was natural for the Service to be asked to assume national direction of Emergency Conservation Work in state parks when that program was launched in 1933. Fortunately for the Service an exceptional administrator, Conrad L. Wirth, was available to lead this complex nationwide program. It was a large and dynamic undertaking, at its peak involving administration of 482 CCC camps allotted to state parks employing almost 100,000 enrollees on work projects guided by a technical and professional staff numbering several thousand. The modern parkway, fruit of the automobile age, appears to have its origins in the Westchester County Parkways, New York, built between 1913 and 1930. At first, Congress also applied the idea locally — in the District of Columbia — but later undertook projects more clearly national in scope. Congress authorized its first parkway project in 1913, the four-mile (6 km) Rock Creek and Potomac Parkway, to connect Potomac Park with Rock Creek Park and the National Zoological Park. In 1928, Congress authorized the Mount Vernon Memorial Highway to link the District of Columbia with Mount Vernon in commemoration of the bicentennial of Washington's birth. In 1930 this highway was renamed the George Washington Memorial Parkway, and enlarged in concept to extend from Mount Vernon all the way to Great Falls in Virginia, and from Fort Washington to Great Falls in Maryland (Alexandria and the District of Columbia excepted). 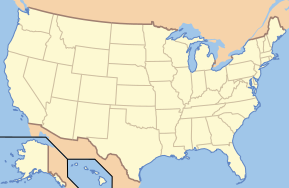 The National Seashore concept reached the Pacific Coast in 1962 with authorization of Point Reyes, California, embracing more than forty miles of shoreline including historic Drakes Bay, Tomales Point, and Point Reyes itself. The National Seashore concept reached the Gulf Coast in 1962 also with authorization of Padre Island, Texas. This great shore island stretches for 113 miles (182 km) along the Texas coast from Corpus Christi on the north almost to Mexico on the south, and varies in width from a few hundred yards to about three miles (4.8 km). There is some private development at each end of the island. The 1960s brought about public awareness of America's natural and historical wealth. The Johnson Administration became the start of a 'park's for people' mindset. Director Hartzog was the superintendent of the Gateway Arch National Park, then known as the Jefferson National Expansion Memorial, in St. Louis and was a supporter of public involvement and publicly accessible parks. It was the second 50 years that saw a significant increase in parks accessible to the general populations. Congress declares that the national park system, which began with establishment of Yellowstone National Park in 1872, has since grown to include superlative natural, historic, and recreation areas in every major region of the United States, its territories and island possessions; that these areas, though distinct in character, are united through their inter-related purposes and resources into one national park system as cumulative expressions of a single national heritage; that, individually and collectively, these areas derive increased national dignity and recognition of their superlative environmental quality through their inclusion jointly with each other in one national park system preserved and managed for the benefit and inspiration of all the people of the United States; and that it is the purpose of this Act to include all such areas in the System and to clarify the authorities applicable to the system. Congress further reaffirms, declares and directs that the promotion and regulation of the various areas of the National Park system, as defined in section Ic of this title, shall be consistent with and founded in the purpose established by section I of this title (the Organic Act provisions), to the common benefit of all the people of the United States. The authorization of activities shall be construed and the protection, management, and administration of these areas shall be conducted in light of the high public value and integrity of the National Park System and shall not be exercised in derogation of the values and purposes for which these various areas have been established, except as may have been or shall be directly and specifically provided by Congress. The first national lakeshores were created in 1966 from some of the remaining unspoiled or unique coastlines of the Great Lakes. 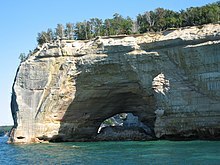 The first lakeshores were Pictured Rocks National Lakeshore in the Upper Peninsula of Michigan and the Indiana Dunes National Lakeshore in Northwest Indiana. In 1970, two additional lakeshores were added: Sleeping Bear Dunes National Lakeshore on Michigan's western shore on Lake Michigan, and Apostle Islands National Lakeshore on Wisconsin's Lake Superior shore. On August 15, 1978, President Jimmy Carter signed into law the creation of the Chattahoochee River National Recreation Area, comprising 15 park units, ranging over 5,000 acres, and included 48 miles of the Chattahoochee River, in the Atlanta metropolitan area. In 1977, President Jimmy Carter created a dozen national monuments, in Alaska. The controversy that ensued led to the passage of the Alaska National Interest Lands Conservation Act (ANILCA). Through this act, Congress affirmed the Executive Order, adding to it. The act set aside 47 million acres (190,000 km2) to the National Park System and 54 acres (220,000 m2) to the National Wildlife Refuge System. The act provided for the creation or expansion of Denali National Park, Wrangell–St. Elias National Park and Preserve, Gates Of The Arctic National Park and Preserve, Lake Clark National Park and Preserve, Kobuk Valley National Park, Katmai National Park and Preserve, Glacier Bay National Park and Preserve, Kenai Fjords National Park, Kenai National Wildlife Refuge, Cape Krusenstern National Monument, Admiralty Island National Monument, Misty Fjords National Monument, Aniakchak National Monument and Preserve, Bering Land Bridge National Preserve, Noatak National Preserve, Yukon-Charley Rivers National Preserve, Yukon Delta National Wildlife Refuge, Yukon Flats National Wildlife Refuge, and made significant changes to the notable Arctic National Wildlife Refuge. President Ronald Reagan added eighteen new units to the National Park System during his eight years in the White House. President George H. W. Bush added fourteen new units to the National Park System during his four years in the White House. President Bill Clinton added nineteen new units to the National Park System, and de-authorized one during his eight years in the White House. President George W. Bush approved/created seven new units of the national park service during his eight years. In that period he also approved the deauthorization of the Oklahoma City National Memorial in Oklahoma City, Oklahoma. President Barack Obama approved 19 new National Park Units since taking office in January 2009 (through February 2016). 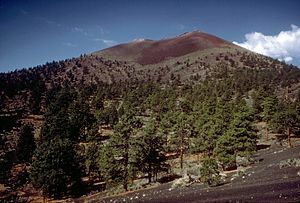 As of January, 2011, five parks have been authorized by Congress with the intention of adding them to the National Park system upon land acquisition or monument completion. The National Park Service ended furloughs, known as sequestration, for US Park Police on June 1, 2013. ^ Schullery, Paul; Whittlesey, Lee (2003). Myth and History in the Creation of Yellowstone National Park. Lincoln, NE: University of Nebraska Press. pp. 30–32. ISBN 0-8032-4305-7. ^ "Furloughs to end for U.S. Park Police, Park Service director says". Washington Post. Retrieved May 24, 2013. Lee, Ronald F. (1972). Family Tree of the National Park System. Philadelphia: Eastern National Park and Monument Association. OCLC 731143. Retrieved September 29, 2016. Sellars, Richard West, – "A Very Large Array: Early Federal Historic Preservation—The Antiquities Act, Mesa Verde, and the National Park Service Act" (evolution of early national park system; legislative history; discussion of interpretation/education in early national parks, etc. ), published by the University of New Mexico School of Law, 2007. A National Monument, Memorial, Park... What's the Difference? This page was last edited on 18 February 2019, at 23:49 (UTC).